This is my favourite photo of 2017 (or actually, of the first eight months of the year or so, since I haven’t had a chance to review more recent images). In looking back through my previous favourite-photos-of-the-year posts, I realised that the images I’ve chosen to share were heavily skewed toward cetaceans and marine mammals. That’s sort of a given I guess, but I figured this year I should think outside of the cetacean box. 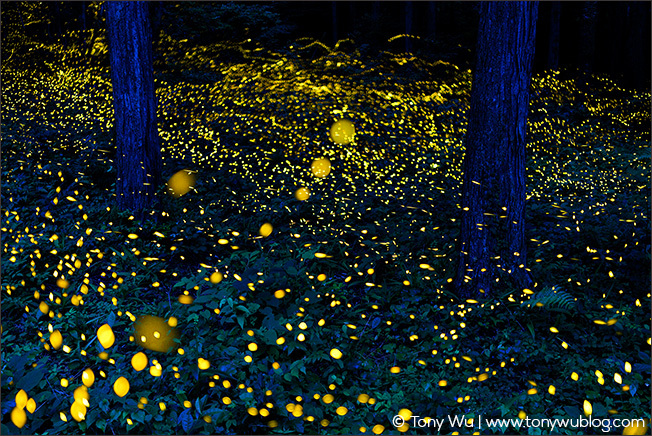 There are so many other amazing animals and phenomena in nature to experience and admire. 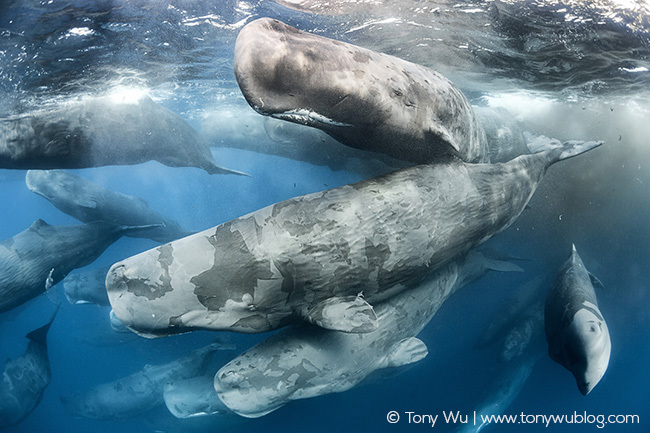 Along those lines, the photo above is about as different from whales as you can get. Creating the image above certainly pushed the boundaries of what I’m comfortable doing. There was no ocean; I had to stay up late; and I had to take precautions against ticks, leaches and other miscellaneous creepy-crawlies that wanted to drain my vital fluids. I had to use a tripod (eegad), remote shutter release (what a pain, seriously), and layers in Photoshop (the horror!). It was a learning experience. 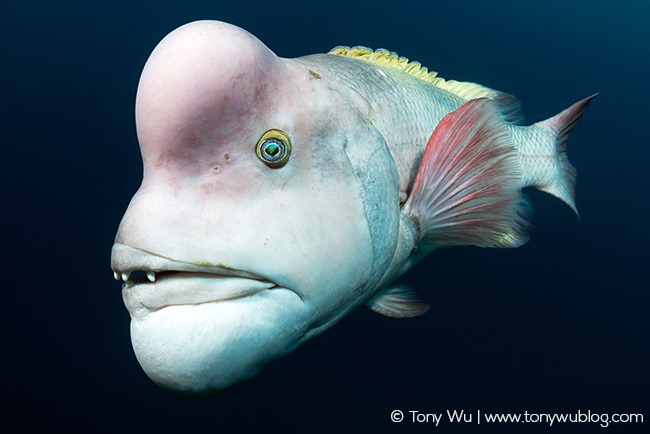 If ever there were an animal whose superpower is to be so ugly that you can’t help but love it, this is it. 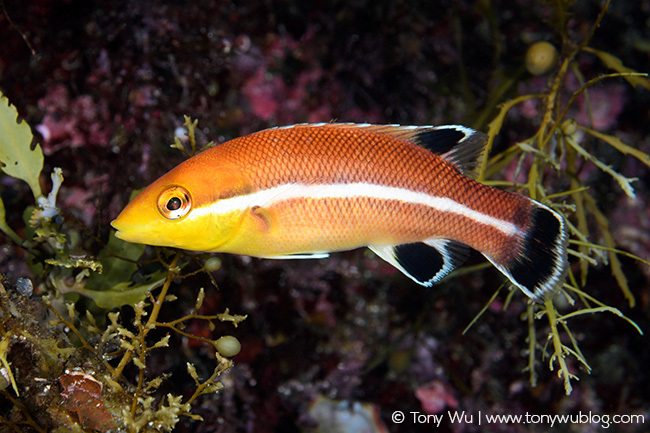 Pictured above is a mature Asian sheepshead wrasse (Semicossyphus reticulatus, コブダイ), male in this case. 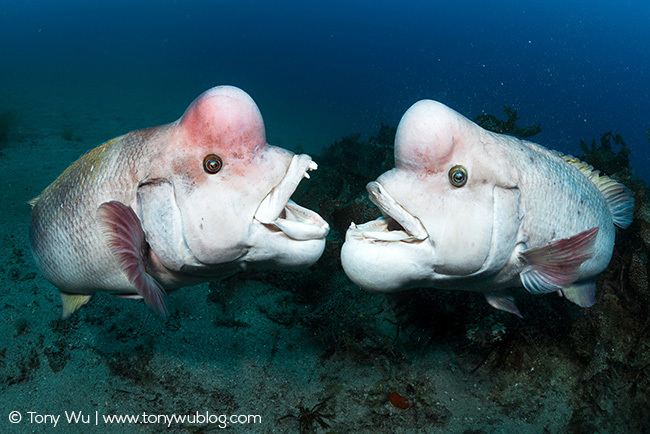 There is another reason beyond their ugly-superpower charisma that these fish are special to me. The photos represent the culmination of 15+ years of planning. I’ve known about these fish for at least that long, probably longer. I’ve read about them, thought about how to photograph them, planned several abortive excursions to go in search of them, even designed and had special equipment made for the purpose. I finally managed to carve out a few days this year to give it a go, and it all came together. Obsession, planning, and of course, a bit of luck. If you want to learn more about these fish, watch Blue Planet 2. They make an appearance in the first episode, thus demonstrating that looks are not everything in show business. 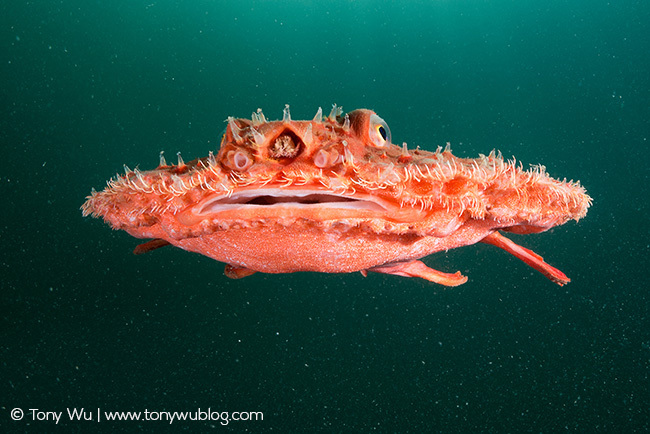 What an odd-looking animal, no? 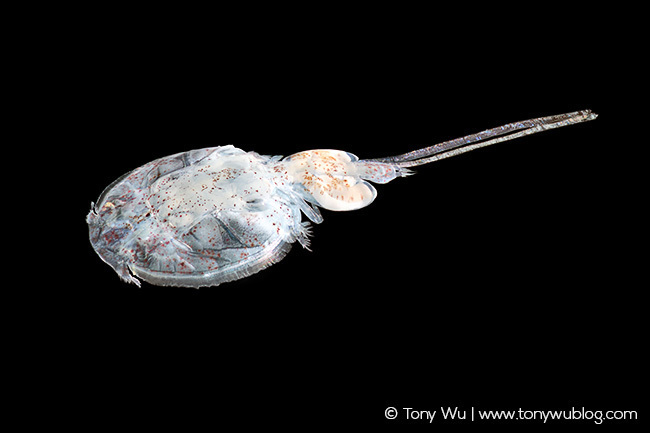 I don’t spend much time photographing sharks, but I couldn’t resist the opportunity to lie motionless at night in frigid 16˚C water waiting for a camouflaged, motionless Japanese angel shark (Squatina japonica, カスザメ) to strike passing fish (that’s sarcasm for all you Sheldons out there). Never have I appreciated a drysuit more, or the wisdom of not drinking coffee or tea prior to diving with a drysuit. I had been in the water for an hour-and-a-half with nothing to show for it, was reaching to turn my camera off when my trigger-finger reacted out of sheer instinct. Best I can gather is that my eyes picked up the beginning of a strike by the shark, bypassed the weak link in the chain of command and sent a signal directly to my finger, thus avoiding my brain. Here’s to efficiency and cutting out the middleman. 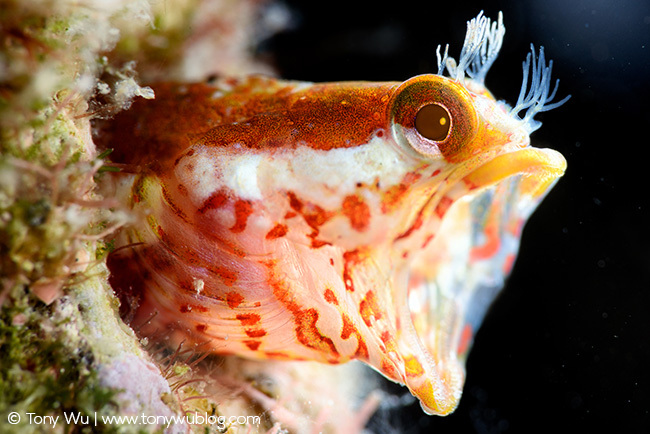 Next up is a Neoclinus monogrammus blenny (シオコケギンポ) with his mouth open, a species first described in 2010. I say “his” because it’s a he. There was a female nearby, perhaps associated. I photographed her as well, but the male’s colouration is more interesting, so I spent more time with him. Two hours actually. 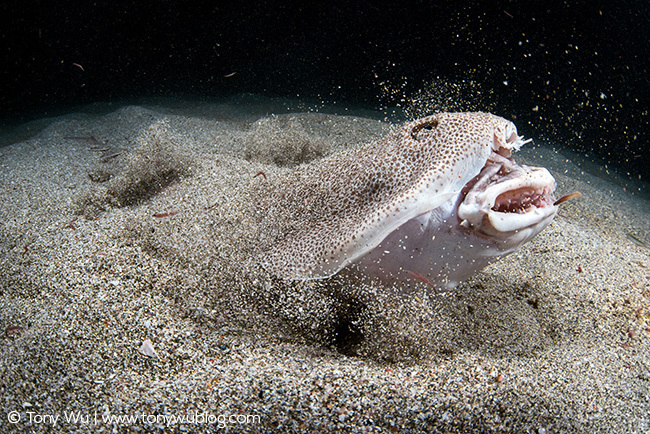 And again, as with the angel shark above, this fish waited until the absolute last second, just before I was about to give up, to reward my patience with this big open mouth. Back in the days when I used to devote a lot more time to reef fish, I was partial to open-mouth shots like this. Still am, actually. If you’ve spent time in the water with fish, you may have noticed that many of them open their mouths from time to time. Sometimes it’s a threat display. Often times, there doesn’t seem to be any obvious reason. Maybe they’re bored? But in all cases, it takes place quickly, usually without much if any warning, and it seems to occur most often when you’ve decided to blink or look away for a second. If you’re a scuba diver, you may have actually come across these crabs without realising it. They spend the majority of the time buried in the substrate, with only their eyes protruding just a bit, scanning for potential meals. 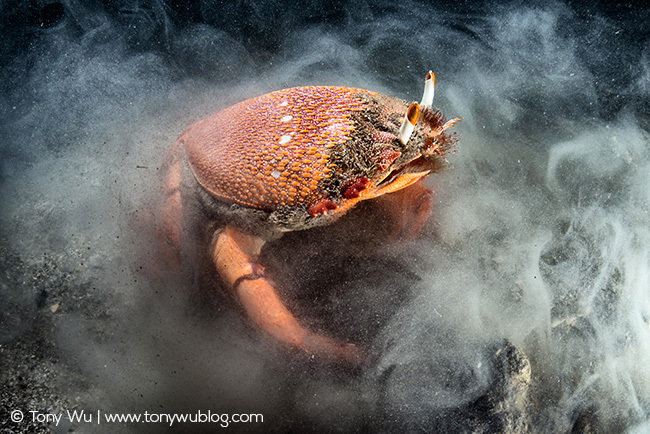 Click here to see more photos and read more about these crabs. In this species, females are the prolific gender. 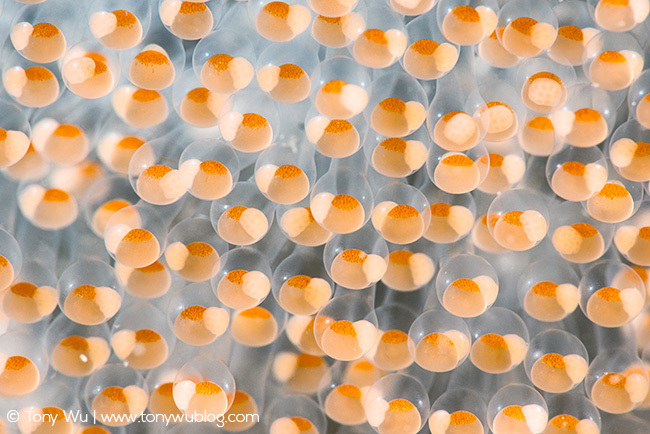 During breeding season, they pair up as often as possible, depositing a clutch of eggs and assigning males the task of watching over the embryonic fish until they hatch, a job the males take seriously. 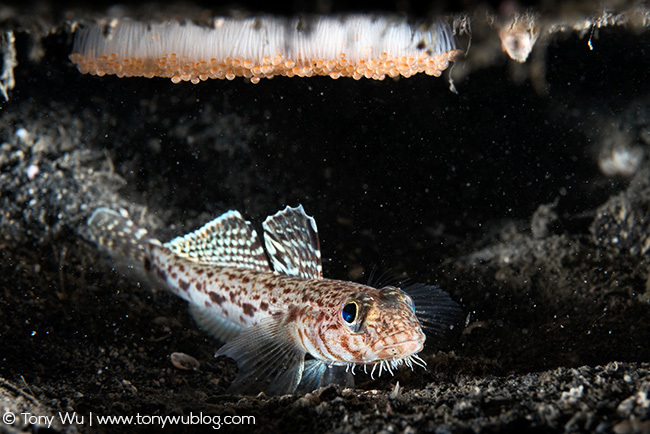 Click here to see more photos and read additional background on these fish. OK, I can’t bring myself to wrap-up the post without something cetacean-related. I didn’t take the photo this year, but it received recognition as the winner of the Behaviour: Mammals category of the 53rd Wildlife Photographer of the Year contest organised by the Natural History Museum in London. 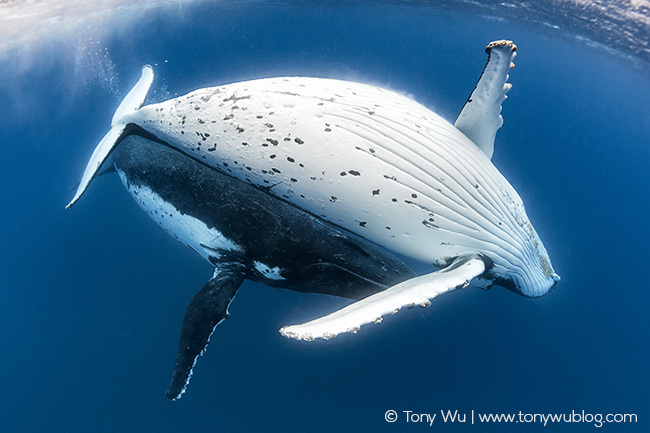 It’s a pair of humpback whales, I believe engaged in courtship, female belly-up, male playing it calm and cool below. I’ve spent so much time in the water with this species that it’s gratifying to be able to see when and how behaviour is likely to happen. There’s no way to react in time to take a photo like this. You need to know in advance what’s going to happen. Equipment-wise if you’re interested, I took the firefly photo with a Sony 7r2, the fish photos with a Nikon D800 in a Nauticam housing, and the whale photos with a Canon 5D3 in a Zillion housing. A big “Thank you!” to Nauticam, Zillion and RGBlue for your invaluable help and support! And also, of course, to the many friends who hosted me, traveled with me, helped me, advised me, consoled me, tolerated me, and kept me in line through the year. There is no way I could’ve taken the photos without lots of help, incredible generosity and kindness from people all over the world. To round out and close out the year, I’ll leave you with two images of one last subject. 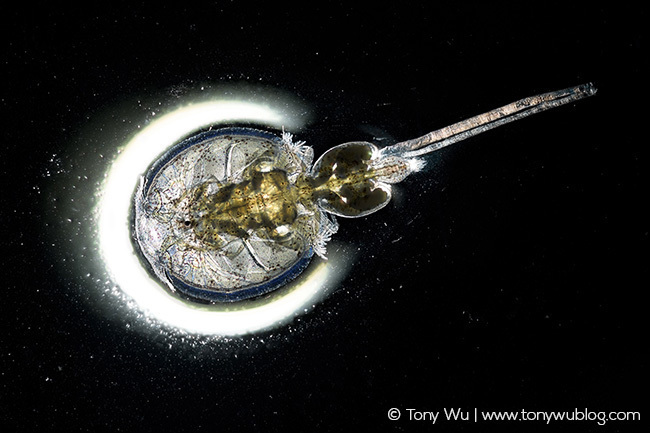 They are of something most people would probably never notice, a tiny copepod (just over 1cm carapace) that makes its living as a parasite on ocean sunfish (Mola mola, マンボウ). I still haven’t figured out a species ID (please clue me in if you know), but the reason I’m sharing this is for the same reason I shared the concluding photos in my post about favourite photos for 2016. You may or may not realise it, but I spend a lot of time just sitting around and waiting for things to happen. Sometimes weather, wind, water, gear and animals all cooperate and everything comes together quickly, as with the sheepshead wrasse above. More often though, there’s a lot of down time, and occasionally, even total failure time. I learned long ago that there’s no point getting upset and stewing. Trying to change the weather or make animals do what you want them to do is about as productive as trying to turn lead into gold. I had to face this situation recently. Taking my own advice, I looked around and took interest in things that I had never planned on examining, photographed things I never even knew about. As a result, I had a lot of fun (while totally failing at what I had planned to do), and I learned a lot. I took some [email protected]@ photos (which I haven’t had time to look through yet). I also made new friends, and deepened friendships with people I already knew. PS: I’m contributing this post to Jim Goldstein’s annual Best Photos Project again. I’ll post a link when Jim finalises the page of contributions for 2017. I’ll definitely spend time browsing the links. I’d recommend you do too! Update 12 January: Jim's list is here.